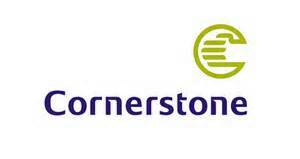 Cornerstone Insurance Group grew its profit after tax by 11 percent from N860.36 million in 2013 to N946.48 million in 2014, while its profit before tax increased by 20 percent from N870.2 million in 2013 to N1.04 billion in 2014. Cornerstone Group Chairman, Adedotun Sulaiman, who disclosed this during the company’s 23rd Annual General Meeting in Lagos, said “The financial performance in 2014 is a reflection of our deliberate focus on profitable underwriting and investment performance, while cautiously pursuing top-line growth”. While the gross premium written stood at N5.21 billion in 2014, the gross premium income grew by 12 percent, moving from N4.62 billion in 2013 to N5.19 billion. Its underwriting profit also rose by 60 percent from N939 million to N1.50 billion, even as the company paid claims totalling N1.23 billion during the year under review. Sulaiman also informed that the group achieved a 12 percent growth in investment income from N890 million in 2013 to N999 million in 2014. Similarly, shareholders equity appreciated by 12 percent from N6.90 billion to N7.76 billion, while retained earnings moved from a negative N555 million in 2013 to N99 million in 2014. The underwriting firm also paid a dividend of 2 kobo per share to its shareholders for the 2014 financial year.